At one end of Durban’s Golden Mile is the beginning of a world of family entertainment options that attracts a regular flow (sometimes an overflow) of locals and tourists alike. But that’s not a major problem — for the 16 hectares of prime beachfront property occupied by the uShaka Marine World make it Africa’s largest marine theme park. Apart from its sheer size, it is distinguished by its freshwater and seawater offerings, lush vegetation, use of natural materials, and the wreck of a cargo ship. 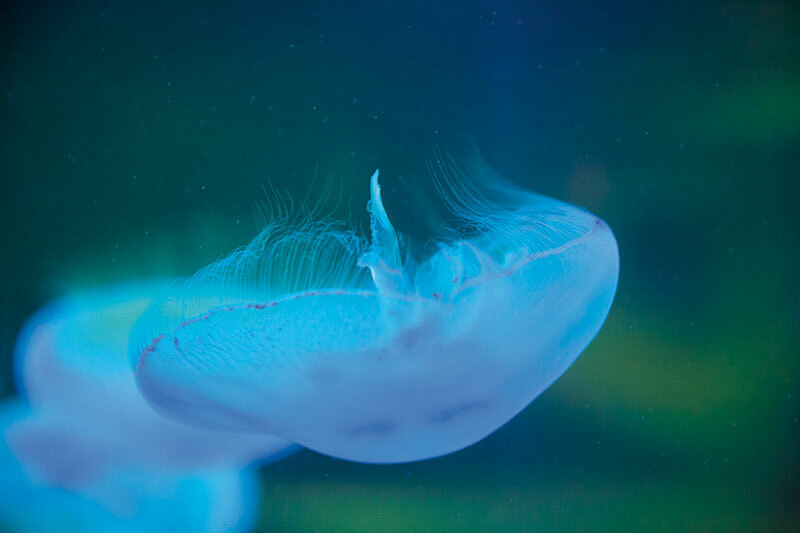 Its volume of water makes the aquarium the fifth-largest in the world. 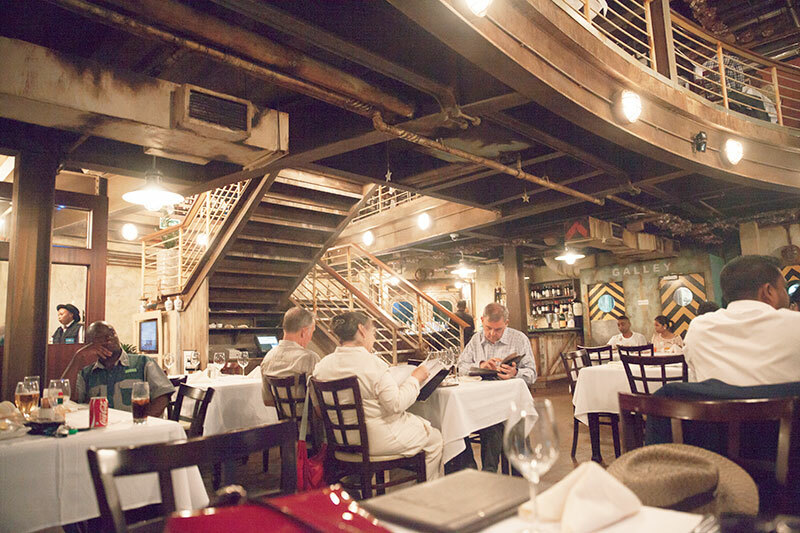 There are more than enough attractions to keep all age groups not just occupied but preoccupied — even intrigued. 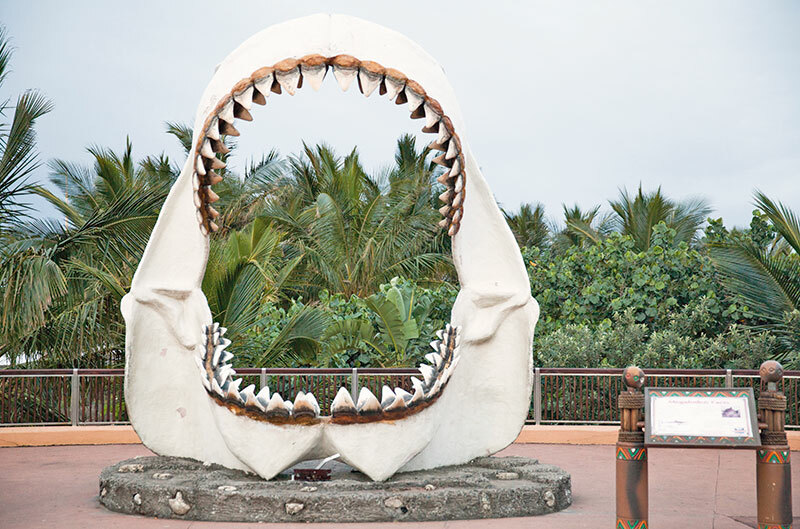 You could immerse yourself in the marine life, shop at the retail outlets, attend shows devoted to dolphins, seals and other sea animals, or grab a bite at one of the themed restaurants. If you feel like taking a rickshaw ride along the beachfront, you can use the same ticket to re-enter as it’s valid for the day. 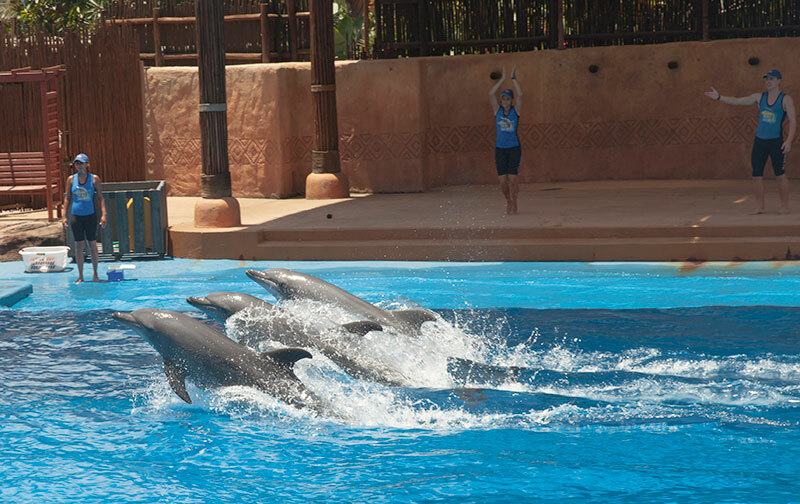 Apart from saltwater aquariums with indoor and outdoor exhibits, children invariably congregate at the 1,200-seater stadium where they are entertained by the dolphins, the seal stadium and the penguin rookery. 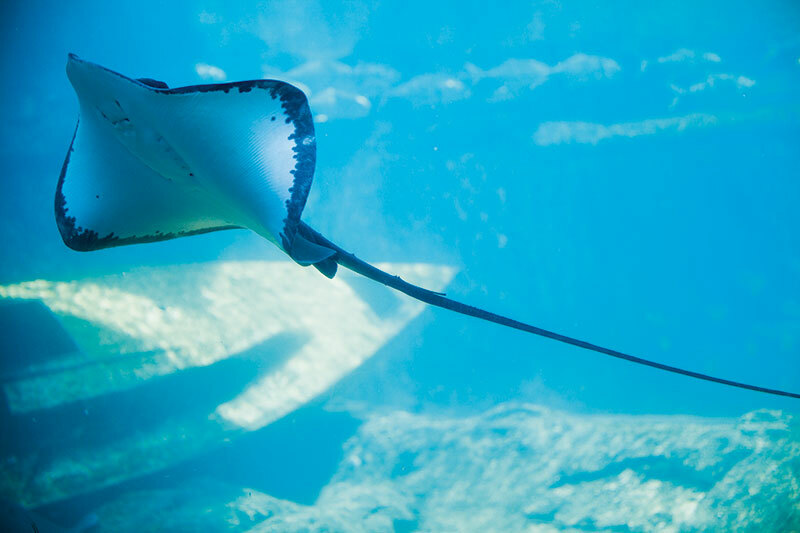 Sea World offers edutainment tours, behind the scenes and interactive activities such as snorkelling and scuba diving. Bell’s Beach, adjacent to uShaka Marine World, is reserved for adventure seekers and sports enthusiasts. If you’re in the mood for soaking in some family fun, there’s Wet ‘n Wild — a freshwater wonderland with swimming pools, relaxing river rides and high-speed chutes for adrenalin junkies. There’s also a possibility of touching some of the marine life with the help of a specially trained guide. Kids of all ages love the mini-super tube, the play area with water cannons and the water mushrooms. We were told that a ‘must-experience’ is the Mamba Tunnel Slide — an enclosed roller-coaster ride that’s not for the faint-hearted or claustrophobic. You will speed around the curves at a thrilling four-metres-per-second in the dark. Those who try it invariably return for more. Durban legend tells us that the Phantom Ship was first sighted at the turn of the century, sailing into the harbour from a southerly direction. Those who noticed it at dusk described it as a steamship. It appeared to have no name, answered no signals and flew no flag. Speculation was rife. Was it a pirate ship, waiting for its prey? Was it lost? Was it on some secret mission? With no answers forthcoming, it came to be known as ‘the phantom of the ocean’. 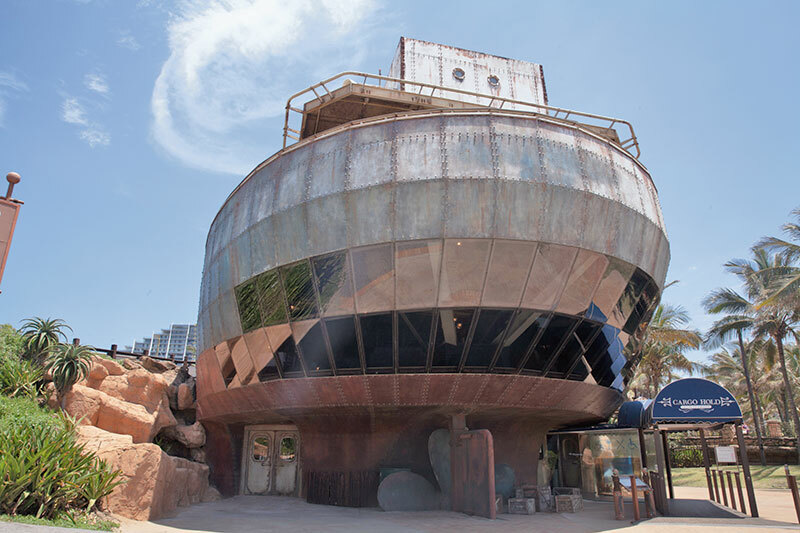 Inspired by this legend, a wrecked ship was created to hold a restaurant aptly called Cargo Hold.